When you hear the term ‘customer follow-up’, where does your mind go? If you thought of following up with a prospective customer in order to close a sale, that’s a great start — but it shouldn’t be your endpoint. Following up with existing customers after closing sales shows customers you care about their satisfaction, not just their purchases. As a result, customers will be more likely to trust your business and buy from you again. Of course, you don’t want to bombard your customers with messages for no reason — timing is key. In this article, we’ll look at four great opportunities for customer follow-up. 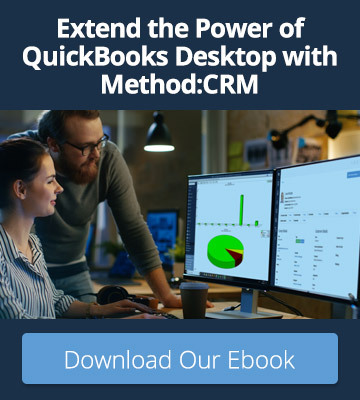 And if you’re wondering how on earth you’re going to track these different follow-ups in QuickBooks customer notes, have no fear — using a QuickBooks-integrated CRM like Method:CRM will make the process a breeze. A survey by TD Bank found that 77% of consumers appreciate it when brands express their gratitude, so why not spread the love? Reach out to your customer a day or two after closing a sale to thank them for their purchase and encourage them to contact you with any questions. Not only does this show the customer that you value their business, it also opens the door for ongoing communication. Method:CRM users: Streamline the process of sending thank you emails by creating a custom template that reflects your company’s voice. 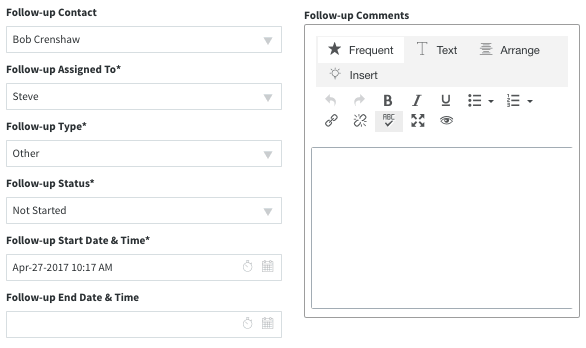 All Method account users can share the same template, or each user can create their own personalized message. We all know that customers love to give their opinions — just look at any restaurant review site. Be proactive about asking for feedback on your products or services, and use this feedback to improve your offerings. Following up after customers have had time to assess their purchases also allows them to discuss any issues that have arisen. This, in turn, gives you the opportunity to spring into action. If you can turn the bad experience around, your customer will likely be willing to buy from you again. Method:CRM users: After closing a sale, schedule a customer follow-up activity to remind yourself to reach out for feedback. This activity can be scheduled days, weeks, or even months in advance, depending on what’s most appropriate for your industry. In some industries, there are specific times of year when customer demand peaks. For instance, accounting firms see a lot of business when taxes are due in the spring, while a tutoring company might see a surge in inquiries when school resumes in the fall. Capitalize on this seasonality by reaching out to past customers to see if they need your offerings again. This is also a great opportunity to suggest products or services your customers may not know you offer. 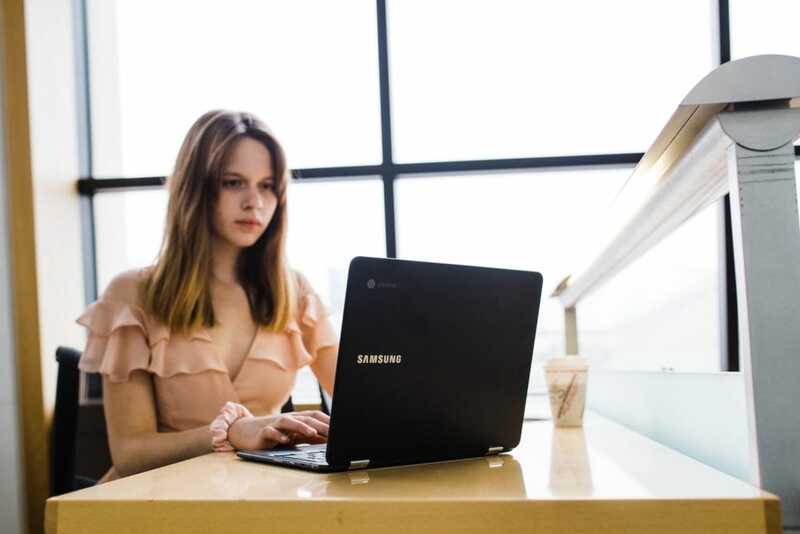 Even if they aren’t ready to purchase yet, customers will appreciate the personalized approach — and you’ll be top-of-mind when they are ready to buy. Method:CRM users: Use the Gmail Gadget to easily view a customer’s order history while writing a follow-up email, without having to leave your inbox. You reach out to friends and family when they experience milestones, so why not do the same for your customers? Birthdays or purchase anniversaries are fun customer follow-up opportunities that allow you to thank customers for their business while reminding them of your products or services. And if you include a celebratory discount, this may compel the customer to make another purchase sooner rather than later. Method:CRM users: Add a custom field to track birthdays, purchase dates, or any other information that helps your company maintain strong customer relationships. Effective customer follow-up is much more than sending a ‘How’s it going?’ email once in a while. Your chances of creating loyal customers are higher when you reach out at strategic opportunities — and when you have the right tools for the job. 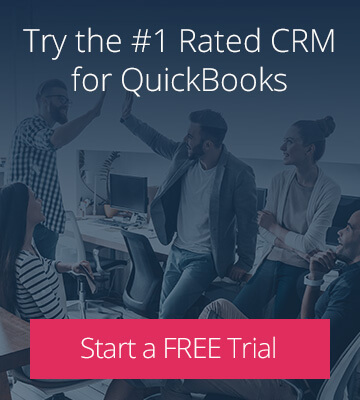 If you’re ready to start driving repeat business, sign up for your free trial of Method:CRM and see how it can help!